Charles Darwin studied classics, medicine, and theology, but it was not until he took a position as a naturalist on the HMS Beagle in 1831 that he found his true calling. During the voyage, Darwin became certain of the gradual evolution of species. After more than 20 years refining his ideas, and by this time battling ill health, he published the controversial On the Origin of Species by Means of Natural Selection, in 1859. This was followed by several other volumes. Darwin was not the first naturalist to propose the idea of evolution, but is probably its best known proponent. 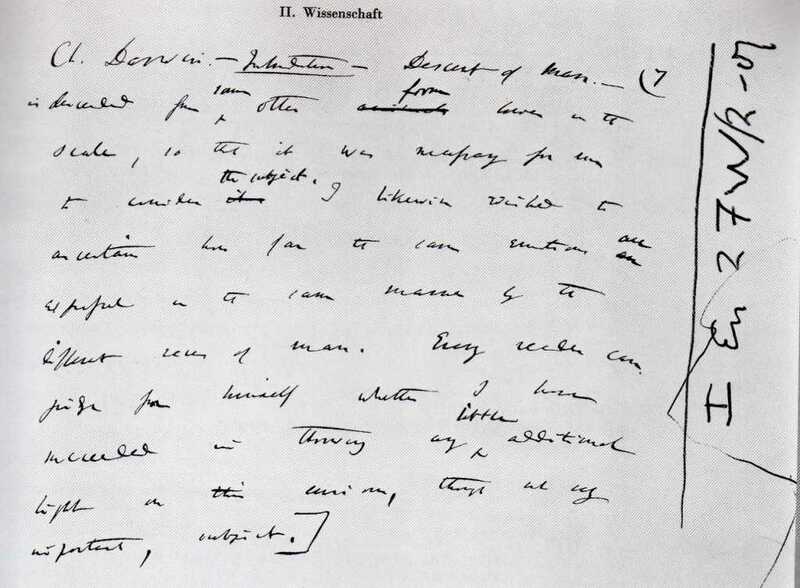 Darwin’s handwriting has the light, airy quality often associated with the scripts of philosophers and other intellectual types. Light pressure and large intervals between words and lines create islands of space that serve to isolate him on a social level, but simultaneously give him room to think. Darwin was clearly a * loner who required a great deal of time and space on his own in which to develop the ideas that proliferated in his cerebral upper zone. Considering the wide spatial arrangement and small middle zone of the writing sample, anyone in a relationship with Darwin would have had to be highly independent and happy to amuse themselves. He could be seen as an absent-minded professor type, with little patience for the niceties of polite conversation. He was probably the type of person who is most comfortable working for long periods of time alone in his study and who often forgets to come down for dinner. It is likely that Darwin was insensitive to the emotional needs of the people around him, not because he did not care, but simply because he was too wrapped up in his own ideas to be aware of them. Again, the wide spaces, coupled with the highly simplified forms, point to intelligence and the ability to simplify matters to their basic components. Many of the long f-crosses are placed at the tops of the stems, indicating idealism and high ideas, but because they stay in contact with the stem, Darwin’s ideas stayed within the realm of reality. The poor legibility suggests that he was so involved in complicated thoughts he might assume he had spoken an idea aloud, even when it was just in his head. 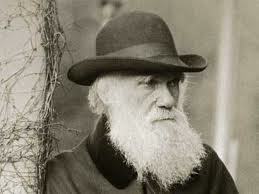 Darwin lived life chiefly on an intellectual level. He might have had greater physical energy earlier in life, but at the time of writing (1871) his energy was directed into the mental plane, as evidenced in the upper-zone emphasis (long, high r-bars) and the strong simplification of form. 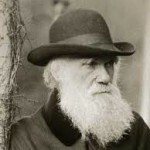 Forward-thinking, continually striving to improve his ideas and methods and make them more efficient, Darwin’s stunted lower zone shows that he had little use for the material world. Instead he was motivated by the possibilities inherent in any situation.